The last time we heard from Somi, she had released an entire LP album about Lagos, her fifth. Called The Lagos Music Salon, it energised Lagos in unimaginable ways, giving us the most resplendent and contemporary outsider reflection of the acoustic salad that makes up that coastal West African Megacity. Somi is back. This time she hits closer home. Even though she is African (of both Rwandan and Ugandan descent), she spent her formative years in America and currently lives in New York. She calls her latest body of work, ‘Petite Afrique’, a sonic exploration of Harlem, a place inhabited by Africans and African-Americans alike. Somi’s diasporan texture feeds back on her music. There is a somewhat outward gaze with which she perceives things both within and without the African continent. Her choice of Jazz also endows her with an exploratory tool. If Jazz music is a refined African export forged in America, Somi’s charge is to dislocate and relocate it within the continent in both a physical and metaphorical sense. ‘Petite Afrique’ begins like ‘The Lagos Music Saloon’. She transports herself to an entry point, documenting the exact instance of her immersion that begins with arrival and greetings. ‘Disappearing Act 1’ is to ‘Petite Afrique’ what “First Kiss: Eko Oni Baje’ is to ‘The Lagos Music Saloon’. To the business of the album, 14 songs suffice to tell the story of an African community within foreign grounds. 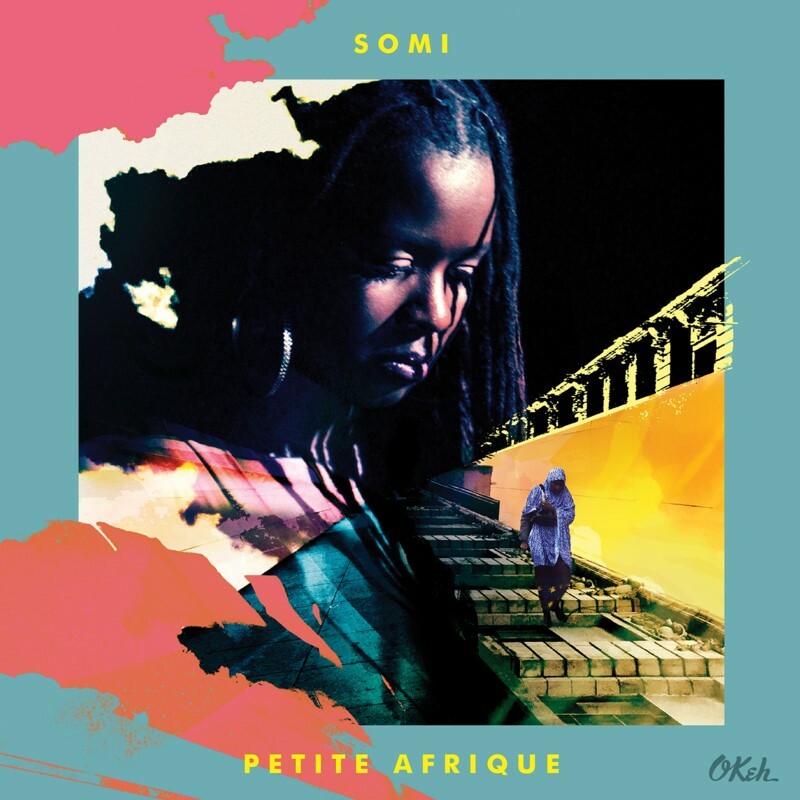 Petite Afrique easily translates from French into ‘Little Africa’ and the rendering of the fate of such a society must embrace both highs and lows. Somi is unabashed in her exploring both. Her music serves to stir, turn and energise these experiences. Her mode is to string her vocals with a pastiche of borrowed sounds; Somi seeks to speak for Africa. The Aloe Blacc assisted ‘The Gentry’ is jazzy and confrontational. The song begin whensomeone says in a clear American accent, “Look what they’ve done to Harlem” and the instrumental segues in like a thrilling big band sound, emphatically high-tempo because this song is part protest, part promenade, part persuasion and part prescription. At the end of this cabaret-styled duet, the music is stripped to mere acoustics. The clap of the African conga drums outlives every other sound, ending this genuine and ingenious protest. There are low moments as expected of an album exploring the migrant experience (Alien). There are moments of stubborn assertiveness (Let Me) but most abundantly, there are moments of feminist convictions. On ‘Blue’, Somi is running a commentary deeper than hue. She is inciting and reciting, using Jazz as a medium and energizing its iterations for what some may call a greater good. What it means to be African-American is within the purview of black writers from Frederick Douglass through James Baldwin all the way to Ta-Nehisi Coates. But what it means to be African in America is a more urgent and visceral question that Somi seeks to answer. I imagine that Teju Cole, Emmanuel Iduma, Nana Ekua Brew-Hammond, Frankie Edozien, Maaza Mengiste are a biased sample of a larger population that Somi also speaks for. I doubt if Somi’s music has ever been this political. Not in that overt militant sense but the time dictates the need for socially conscious music especially in the wake of xenophobia, terrorism and gentrification. Somi’s music is arranged so that aspects of her vocals—prosody, inflection and cadence—become the window through which she ferries her consideration. The interlude ‘Go Back to Your Country’ presumably features Somi listening to an elderly male émigré reflecting on how Harlem has changed over the years especially from being a black-dominated area to a place of diversity. Conclusively, they agree that Africans changed Harlem. Perhaps the depth of this summation runs deeper than Somi’s inquiry.